The Non-believer – There is life beyond running ! Me – Seriously ! Are you sure ? People run for many reasons….and then they get addicted to it…the runners’ high, me time away from it all, sense of accomplishment on getting a personal best, social recognition, new friends who share your madness, blah, blah. So much so that it starts dominating your thoughts, time, friend list, reading and shopping! Sometimes at the cost of your family and/or your work. And sometimes, while every fiber of wants to run; you can’t do it because of the demands of your family, friends, work, etc,etc. Intrigued by this dilemma, I googled, and googled, and googled. Search results – tons of internet literature on work-life balance, but almost zilch on our topic of interest. Since it is a near virgin topic (Huh ! Near ? ), we would love to hear your take on it. 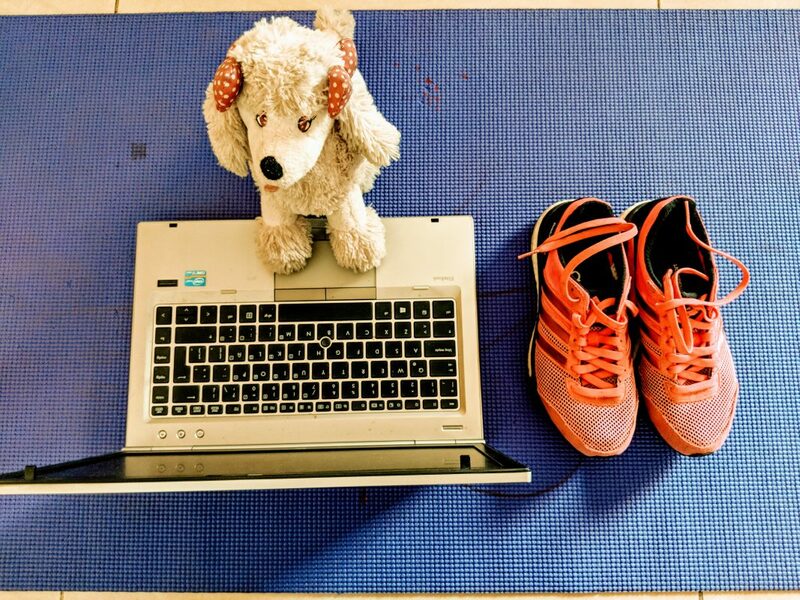 So what is Work-Life- Running Balance? Four bullets to tickle your grey cells….but first a definition…. Add running to the above and you have Work-Life-Running ! But some might say that this is putting too much focus on the self. DEFINE the place of running in your grand scheme of things ! Attitude. Attitude is everything. It is the single most significant difference between the man who achieves the elusive work-life-running balance and the one who doesn’t. Merely knowing the place of running in your life is not enough. You have to win the battle of Mind Over Mattress (try the link. Interesting take on running motivation) everyday ! The right attitude becomes a self fulfilling prophecy – time will be found, situations will be created…..things will happen….and balance will be achieved. Plan your day. Work time is work time, family time is family time and running time is running time. Please don’t mix them up. Plan your runs. Early mornings are best as the rest of the world is still sleeping – no demands on your time ! Focus on what you are doing in the moment and get in the flow – max results. Use your run to think out the day, ponder over issues and come to definitive game plans. Sleep early. Wake up fresh (Google it to find answers). What works for me – a warm glass of milk just before going to bed. Remain healthy and injury free – train to a plan suited to your age and fitness level. Listen to your body. Support of Your Family, Friends and Boss. Your running addiction rests upon the bedrock of the support of the most important people in your life. It cannot be sustained otherwise. They must know and understand the importance of running to you. Best is to baptize them into running and make them as mad as you. If that is not possible – involve or integrate them into other running/fitness related activities! Balancing the trio of work, life and running is a very personal thing. There are no set piece solutions. The motivation, circumstances and abilities are unique to each runner. Do let the runner-thinker in you reflect and mull over this dilemma ! Yet another beautifully written piece and so true. A life beyond running !!! Thanks Meera ! Looking at your phenomenal progress it looks like that you have the balance thing spot on ! Attitude is the key ! To many more podiums ! Maybe I’m lucky that I haven’t had to choose between running and the rest of my life. Ever. It’s one hour. Sometimes three. Out of twenty-four. A modest amount of planning and its not too tough to absorb it into your routine, and have enough time for family, work and intergalactic exploration. Well put, sir. Thanks Shiv. You are an icon of planning and execution to the T. No wonder a BQ is a mere formality for you. Keep inspiring. Very well written. You have encouraged me once again to run more. Truly an inspiration.. Thanks Preeti. It was great to see you burning the tarmac during the SuperSikh Run ! Happy running ! Maybe I’m lucky that I haven’t ever had to choose between running and the rest of my life. Ever. It’s one hour. Sometimes three. Out of twenty-four. It’s not very difficult to absorb this into one’s day with a modest amount of planning and forethought, IMHO. The questions are relevant. Esp if you are a woman- tenu ki lod hai!!! This is another one that one has to field off!!! And you still do it ! Manage the balance with aplomb. We will do some running in Thailand. Carry your togs ! That’s an interesting take, Gee Ess, as it affects all runners so mad about their daily dose of fitness. You are maturing as an writer too, along with your passion for running…. Thanks JS. SCMM and the post marathon beer beckons. My favourite line “Baptize them into running!” 😉 True that! Most of the points are quite relevant to moody of us! The balance will always br a challenge though. But that’s life! Train the mind and the body will follow ! Happy running ! Attitude is the key ! And everything will fall in place. Happy running Gagan. Actually easiest way to balance and please everyone else is to compromise on ones own me time.. invariably sleep time. so I agree as early morning and mind over mattress does it for me too. Thanks for the thumbs up Ajay. Lots to learn. Intend to pick the brains of masters like you ! Thanks AJ. Learning the ropes from stalwarts of your stature. Rest assured – I will be picking your brains soon. Great write up….motivates as also makes us believe that this passion, if planned well, eg early morning when rest of the world is asleep, will seldom disturb the balance. Sleeping early is a great habit that would come along as a bonus…..keep it up, GS. Early to bed early to rise makes a man fit and wise. It elusive to find the balance with all the attractions and social activities, but as the writer said little bit planning and motivation a balance is achievable. Thanks for putting things in perspective. Thanks Gurpreet. Balance is the key to harmony. Attitude is what makes it happen ! “One can only lead as far as one has been”….Inspiring…from the heart…Bravo..Bash On…..U Rock. Thanks Navdeep…..passion is always from the heart and execution is from fire in the belly ! Thanks Seema. Will look forward to more feedback from you. Happy running.